How often do you check your supply line to your appliances? It is a good idea to check them on a regular basis to ensure there are no leaks, worn spots, or that a pest has chewed them. The picture shows a dishwasher that had a slow leak that was not caught until the homeowner was sitting in her basement family room watching tv when water started to drip from the ceiling. It didn't take long to figure out that the dishwasher had a very slow leak. This leak got under the vinyl flooring in the kitchen which also soaked into the bottom of her cabinets and eventually down through the floor and insulation in the basement causing the drip that caught her eye. When we arrived on site, the homeowner's sons had already tore out the vinyl and set up a few small fans to help start the drying process, saving us time to where we could just set up equipment and get the drying process underway with our professional grade equipment. Spring is officially here! It is time to complete all those cleaning tasks you have been putting off. Here is a list of things Martha Stewart says you want to make sure you don't forget to add to that list so you can keep your house looking prestige. Vacuum and Shampoo Rugs: Synthetic carpets and rugs with waterproof backings can be deep-cleaned with a rotary shampoo machine and a hot-water extraction machine. Rugs without backings, including Orientals, require professional cleaning. Dust Books and Shelves: Take everything off the Shelves, and brush shelves and books with a feather duster. Use the dust-brush or crevice tool on a vacuum to reach into tight spots. Wipe the spines of leather-bound books with a clean, soft cloth. Polish Metal Door and Window Hardware: Liquid polishes and polish-impregnated cloths work well for medium tarnished surfaces; pastes and creams are for heavier work. If tarnish doesn’t come off, try a stronger product. Wax Wooden Furniture: Wipe surfaces with a soft cloth dampened with water and mild dishwashing liquid. Apply paste wax, such as Butcher’s wax, a few feet at a time with a cotton rag folded into a square pad. Let wax dry; buff with a clean cloth. Ensure Fire Safety: Change batteries in smoke detectors (this should be done twice a year), and make sure units are free of dust. 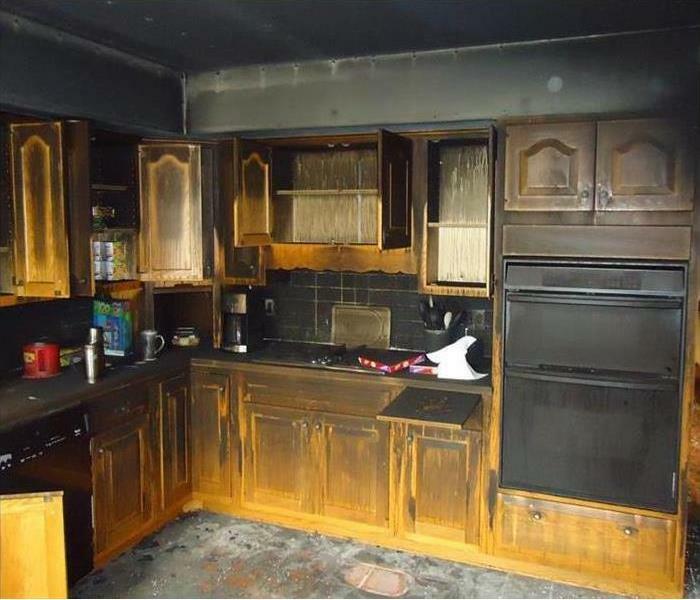 Teach everyone in your household how to use a fire extinguisher, and review escape plans. Clean Window Treatments: Many draperies and curtains are machine washable; check labels. Dry-clean fabric shades. Wipe wooden blinds with a damp cloth; warm water mixed with a mild dishwashing liquid is safe for metal and vinyl blinds. If you need assistance in the cleaning of your place, be sure to contact your local SERVPRO company and they will be able to assist you. As our technicians loaded and ready to pull out. After Hurricane Irma hit Texas, we set out with our local SERVPRO storm team to assist those affected by the terrible storm. Our team set out September 7th and returned October 7th for a full month of helping those devastated. It was an experience we are glad we had, but do not wish that devastation on anyone. We did everything from removing items that were ruined or ripping apart walls and floors from the water damage done to just placing our dehumidifiers and air movers in to dry the houses out or just checking some places for moisture. Some only had a few inches of water enter their house leaving minimal damage, while others had 6-8 feet of water enter leaving everything damaged. Since it was storm water and entered from the outdoors after being in contact with anything and everything in its way, anything it touched was ruined because it was considered category 3 water, which is often referred to as sewage water. Even though everyone we dealt with, whether they were located in Sour Lake or Houston areas, were affected by this storm, and many lost numerous or all of their items, they were very grateful for our services and treated us as guests to their area. This is just the beginning stages of what black mold will look like. Mold can look different depending on the type of mold. Intrusion of water into your home or place of business can result in mold growth. Water intrusions can result from storm damage, plumbing or equipment failures, long-standing leaks and poor humidity control. When water intrusions are not addressed right away, the resulting damage can present increased risk of harmful mold growth. Some amount of mold spores are normally present in most environments. If the humidity and moisture levels in a water-damaged environment are not promptly returned to normal, mold spores may grow and multiply. Organic materials found inside buildings, such as wood, paper, drywall, and insulation, provide food sources for mold to flourish. Excessive mold growth can lead to indoor environmental conditions that pose a health threat. If you think you have a mold problem, please contact a professional near you to take a look and treat it. Did you know one of the reasons we are so unique is our 1-4-8 Service Response Guideline? This helps us ensure timely communication and response to the situation. Quick and accurate response time minimizes your loss expenses. 1 - Within one hour from the notice of the loss, a SERVPRO Franchise Professional contacts the insured to arrange for services to be done. 8 - Within eight hours from the notice of the loss, a SERVPRO Franchise Professional contacts the insurance adjuster to give a verbal briefing of what the job entails and what their plans are moving forward. Refer to https://www.SERVPRO.com/emergency-restoration to see a water damage timeline on how quickly water damage can take effect of everything from drywall swelling to mold forming. Place dry, colorfast towels on rugs, upholstery, and carpet traffic areas. Attempt to clean any electrical appliances without consulting an authorized repair service. Send garments to dry cleaning services as improper cleaning may set in the smoke odor. If you have further questions on what you should or should not do, or to handle a claim, contact us at 717.300.3347 and we will be happy to assist you. 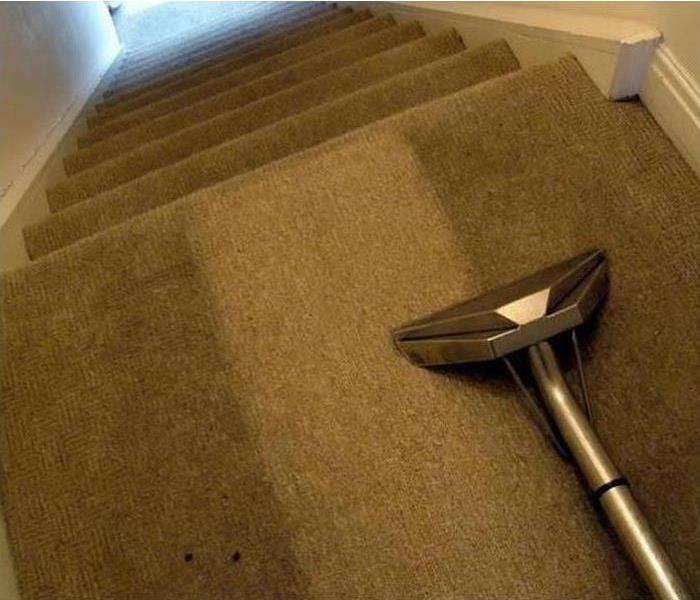 Did you know your carpets will last longer if you get them cleaned regularly? It is recommended you vacuum your carpets with a beater brush type vacuum with good suction frequently and get them professionally cleaned at least once a year. Most professionals use hot water extraction cleaning which is the method recommended by DuPont, Monsanto, and Allied Fibers. If you have pets, high traffic areas, or extra soil on your carpets, you may want to talk with a professional about having them cleaned more frequently. Also good practice is to have your drapery cleaned on a regular basis. It is recommended to have them professionally cleaned once every 2 years provided you have a smoke free home and depending on your heating system. Lightly vacuuming the drapes on a regular basis will also help keep them looking fresh and clean. Although direct sunlight is often to blame for fabric deterioration in color, it is often caused by oily atmospheric soil. To Schedule your cleaning with one of our professionals, give SERVPRO of Shippensburg/Perry County a call at 717.300.3347. When was the last time you changed the hoses on your washing machine? Are you aware that a $20 hose can save you thousands in damages? Check your hose and take time to go to your local hardware store to get a new one if it looks like it may not be up to par.